Years before Rolling Stone was praising Carson McHone‘s rule-breaking roots music, the Austin, Texas native played weeknights in local bars like The White Horse, keeping dancers dancing and drinkers drinking. With her 21st birthday still in the distance, McHone entertained late-night crowds bearing witness to the good times and bad decisions that fill a busy bar. It was a rare, raw education. She pumped her music full of details from an early adulthood spent in the company of the heartbroken and high-toleranced. 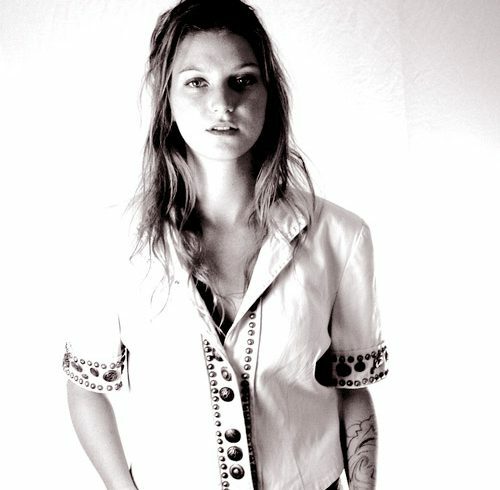 In 2015, McHone released Goodluck Man which earned her a cover story in The Austin Chronicle as well as the support of local icons like Ray Wylie Hubbard, who said she “writes songs like her life depends on it.” Then she hit the road, touring the U.S. (and beyond) with acts like Shakey Graves, Gary Clark, Jr., and Joe Pug. Her writing style widened and her music evolved. Dark, driving and evocative, 2019’s Carousel captures this period of remarkable growth, shining a light not only on McHone’s honky-tonk roots, but on her development as a modern, alt-country storyteller. It features newly written songs and updated versions of tracks that first appeared on Goodluck Man, pushing traditional sounds and themes into a modern context. Martha L Healy makes her debut as the support for Carson. Here’s some quotes and biog. Martha Healy was born on the south side Glasgow. After encountering the strong female voices of artists like Sheryl Crow, Carole King and Patsy Cline, Healy picked up the guitar and began crafting her own songs. Hot on the heels of her Nashville-recorded debut “Better Days,” Martha has recently returned from a three-month stint in Tennessee, with her brand new album, “Keep the Flame Alight” in tow. After a slew of shows at world-renowned Music City venues including the Bluebird Cafe, The Nashville Palace and Douglas Corner, Healy’s looking forward to also play the legendary Jumpin Hot Club.